Stop by to browse our selection today! 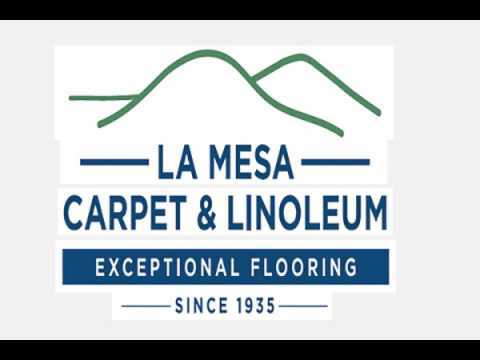 Our veteran locally owned flooring store has truly built a name for itself in the greater San Diego area over the past 80 years. We take pride in the work we do for our customers and the customer serviced offered along the way. Our highly trained installers have over 20 years of experience in the industry and can guarantee a job well done. We have a wide selection of American made products that all come with a manufacturers warranty. We offer the following flooring options and installation at our flooring shop: Carpet, Hardwood, Vinyl (LVT, LVP), Laminate, Tile & Stone. In addition to the following flooring options we are also experts in several flooring services such as hardwood floor repairs, refinishing, and handling complex flooring problems and moisture problems/prevention. We will work with you on any project big or small, out customer's needs come first to us. Stop by our flooring store to browse our wide selection or give us a call at (619) 463-7755 with any questions you may have, our friendly and knowledgeable staff is here to help!